The process to obtain the EUROTAS Certificate for Transpersonal Psychotherapy (ECTP) is the responsibility of the EUROTAS Committee for Certification and Accreditation (ECCA), which consists of at least 4 professional members who meet 3 times a year. The EUROTAS criteria are based on EAP requirements to obtain the ECP and on specific modalities of what is defined in transpersonal psychotherapy. 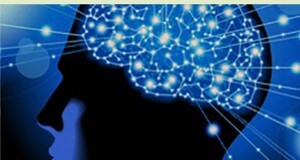 Brainspotting Certification Training in India – 3-5 March in New Delhi and 10-12 March in Mumbai.